After a disappointing period from 2012 to 2016, Honda went back to the drawing board for the all new, 2016 Honda Civic. The previous version of the vehicle was criticized for lacking the “sizzle” that Honda has built a reputation on. With that in mind, the company decided to completely redesign the Honda Civic and deliver a tenth generation of the popular sporty sedan. 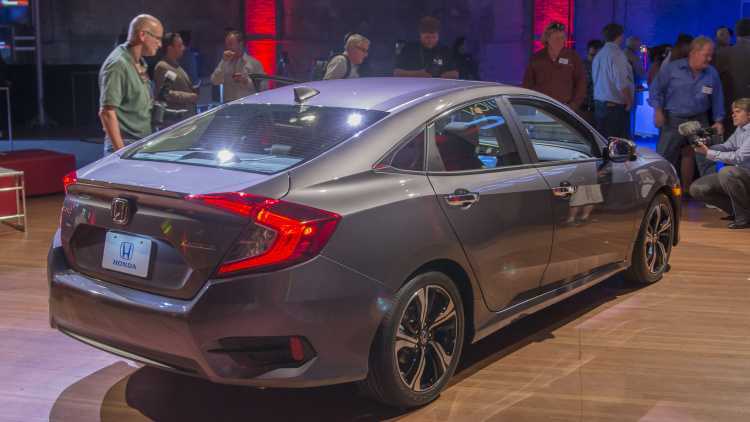 Correcting the mistakes, Honda decided to use a new sheet metal for the exterior, giving the 2016 Civic an expressive profile. Dimensions of the 2016 Civic don’t change much, as the sedan is two inches wider and has a 1.2 inches longer wheelbase. However, it is also lighter, as the sedan has shed 68 pounds. With the new dimensions, the sedan will offer more interior space and more legroom for the rear seats. The new profile of the Civic features strong arches that go over the front wheels and a roofline that throws the current Civic out in the dust. The new roofline is almost fastback-like, giving the 2016 Civic that sporty, dynamic and aggressive look we grow accustomed to. Finishing the front is a new fascia with prominent chrome grille and LED headlights. In the interior, Honda also has made several changes. Now with a new TFT display, Honda has clearly justified the promise they will bring much more technology and innovative thinking in the 2016 model. Aside from the TFT display, Honda leaves traditional gauges inside, but is finally getting rid of the multi-tiered dashboard that people hated in the previous version. Honda will play both sides and will allow both Apple CarPlay and Android Auto inside the Civic. The central touchscreen display is based on an Android OS, same as the new Pilot. Under the hood, Honda is also making changes with bringing a new, 1.5-liter engine into the lineup. The 1.5 liter turbocharged engine features direct injection and is the first turbo engine by Honda for a US model. The engine will produce roughly 200hp in the highest trim. The second engine option is a 2.0-liter four cylinder engine that Honda says will produce the most power between base models. According to reports, the 2.0-liter engine might produce around 160hp for the base trimming model. All engines will be accompanied by either a manual or automatic gearbox. 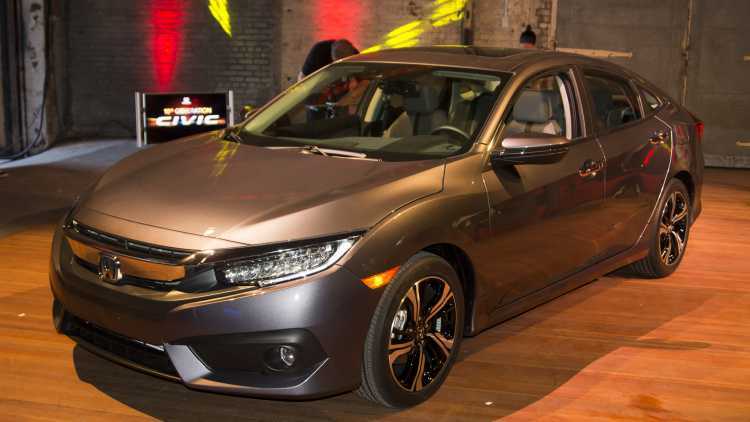 Honda officials claim that the new 2016 Civic will be extremely fun to drive thanks to the changes in the interior and exterior, giving the car a sporty experience. However, we will have to wait and see whether the “most ambitious remake” of the Civic is actually worth the hype. Yawn…Hyundai is eating their lunches.